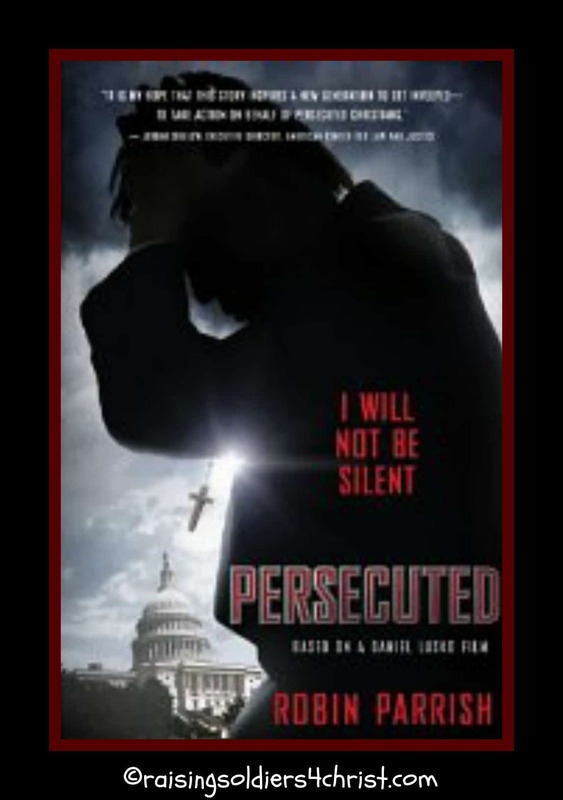 Persecuted: I will NOT be silent Review and Giveaway! Recently I was contacted by Flyby Promotions asking if I would review “Persecuted: I Will Not Be Silent.” I have never read a “political thriller,” which intrigued me, but I was also looking for something fresh and new to read as well. “The framers of our Constitution meant we were to have freedom of religion, not freedom from religion.” –Reverend Billy GrahamThe Question Is Not If Attempts Will Be Made to Limit Religious Freedoms, But When.And When That Day Comes, Will You Stay Silent?A storm is coming. The most popular evangelist of his day, John Luther, simply wants to share the Gospel and enjoy a quiet life with his family. He never asked to be at the center of a political controversy, but an ill wind has been blowing through the halls of Congress, and supporters of a new religious-equality bill see Luther’s endorsement as critical.But when Luther refuses to lend his support, he unknowingly sets in motion an explosive plan bent on destroying his reputation and undermining everything for which he stands. His once-normal life is turned upside down as he becomes a fugitive left with only one dangerous option–putting everything he holds most dear at risk while he fights to expose the truth. It is a mission that brings him face-to-face with the coming storm of persecution that could threaten the very fabric of our nation’s freedoms. Robin Parrish has written for over a decade as a journalist on the cutting edge of Christian culture, from books and music to film. He is the author of the Dominion Trilogy, Nightmare, Offworld, and Vigilante.Robin, his wife, and their children live in High Point, North Carolina. Daniel Lusko attended film school at the New York Film Academy and directed the documentaries Inside the Revolution and Epicenter based on Joel Rosenberg’s New York Times bestsellers. Over the past two years Daniel has directed his first action/adventure feature film entitled 500 MPH Storm and a gritty crime drama, 11 Seconds. He is writer and director of Persecuted, produced with Gray Frederickson (The Godfather and Apocalypse Now). Daniel and his family live in Albuquerque, New Mexico. ”In America, we have become insulated in our lives to the point few people, if any, seem to understand what it means to take up their cross and follow Christ….This is not the case in much of the world today, as elsewhere persecution is something that is understood as part of the package in accepting salvation. Jesus said: “Blessed are those who are persecuted because of righteousness, for theirs is the kingdom of heaven.”…This is a wake-up call. Many of our freedoms granted to us by God will surely be ripped away unless we make a stand. This story is just the beginning.” — Daniel Lusko, writer and director of Persecuted. One of the reasons that I decided to review this book are the parallels between John Luther and the direction this country is currently traveling. I did not expect this novel to be so intense. Although I rarely read suspense, I was engaged in this novel from the first page and could not put it down. I was moved by the characteristics John Luther’s character exhibited – integrity, personal courage, honesty, and loyalty, just to name a few. His character flamed with an intense fire to fight for what is right and true, regardless of the circumstances surrounding him. “Freedom is fragile and costly,” John said with conviction. “It must be constantly protected and defended by work, by faith…. and even by blood. This book is a must read, especially considering the the circumstances that surround many Christians today. I plan to send my copy to my husband overseas. I hope he reads it and writes in his own thoughts later. I give this book a 5/5 especially with it’s relevance to today’s time. Now here is your chance! There is a movie coming out SOON!!! So you know what we homeschool moms say right? Read the book before you watch the movie. Well, you can order one off the links above at amazon AND I am giving away ONE free copy of the book! So enter the giveaway below! I thought I was entering for a book. Which sounds really interesting and I would love to win it. Now if I was entering for a swimsuit, I would wear it to the pool. Debbie I am so sorry! Apparently this kept the comment suggestion from a previous giveaway :). Thank you for entering! This book sounds like something all Christians need to read!